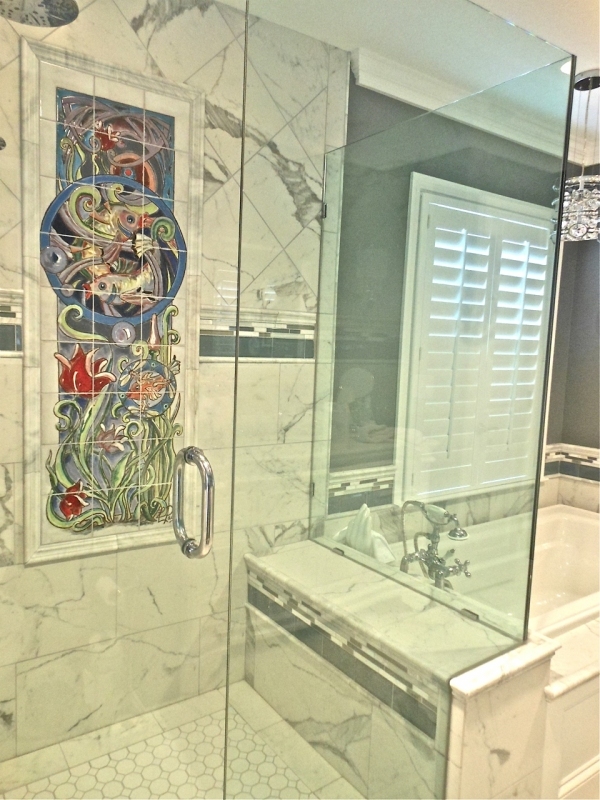 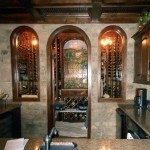 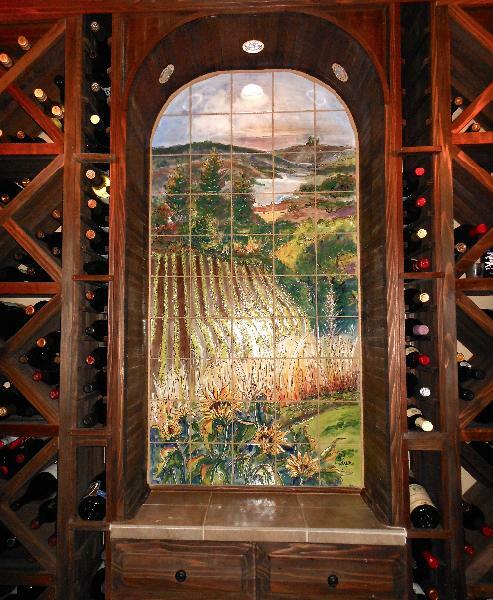 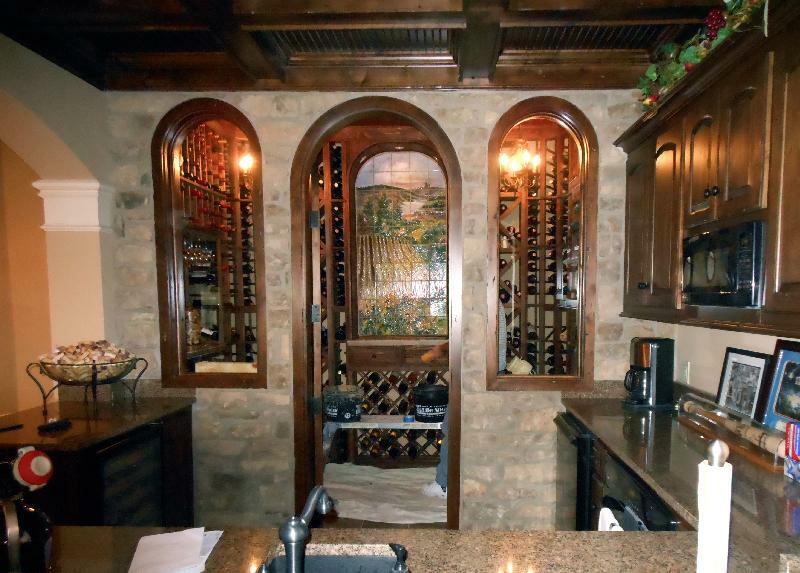 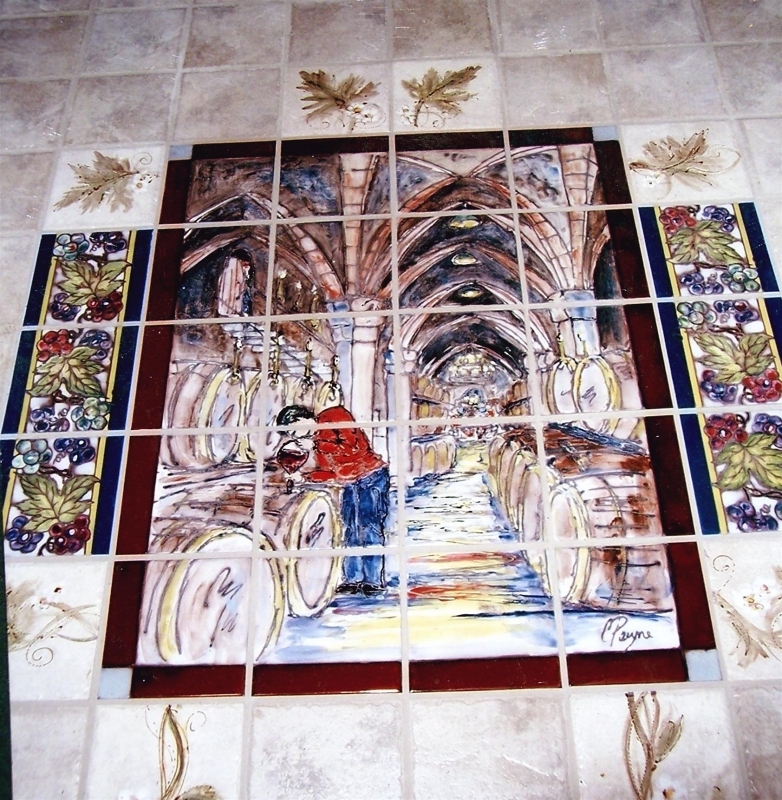 My hand painted tiles murals have been used in residences for kitchen backsplashes, baths, patios, swimming pools, and wine cellars throughout many KC, MO, and other parts of the country. 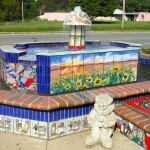 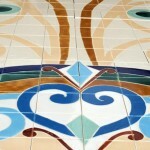 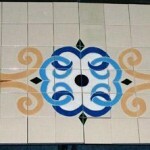 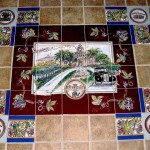 Hand painted tiles have also been used for addresses and names. 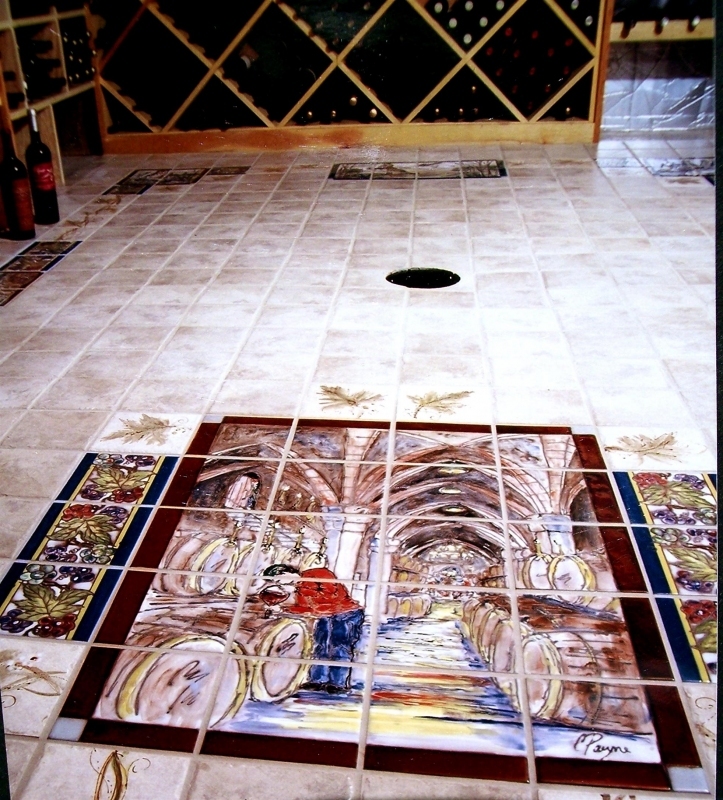 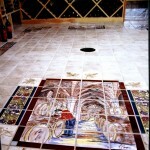 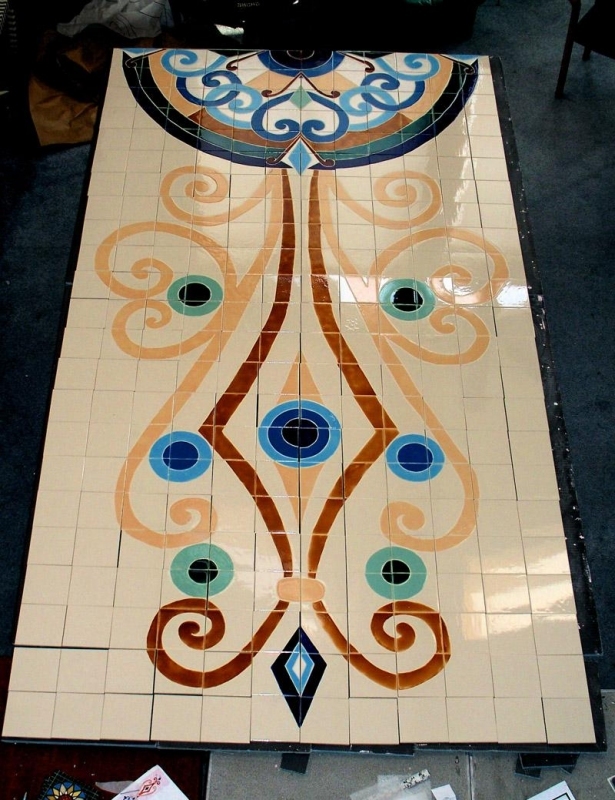 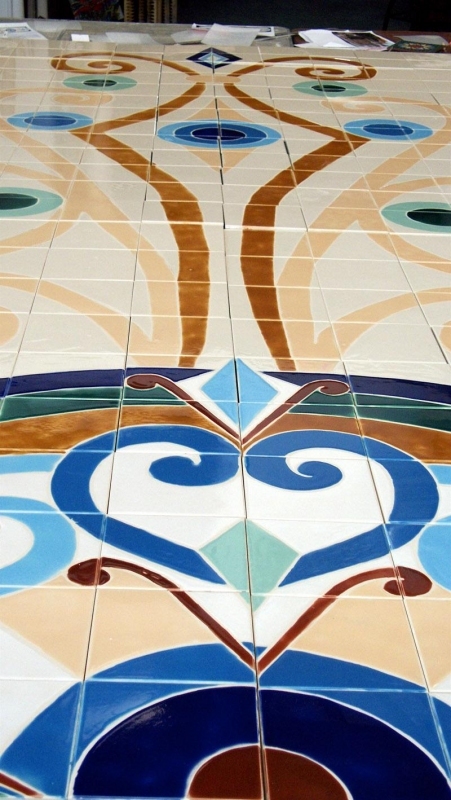 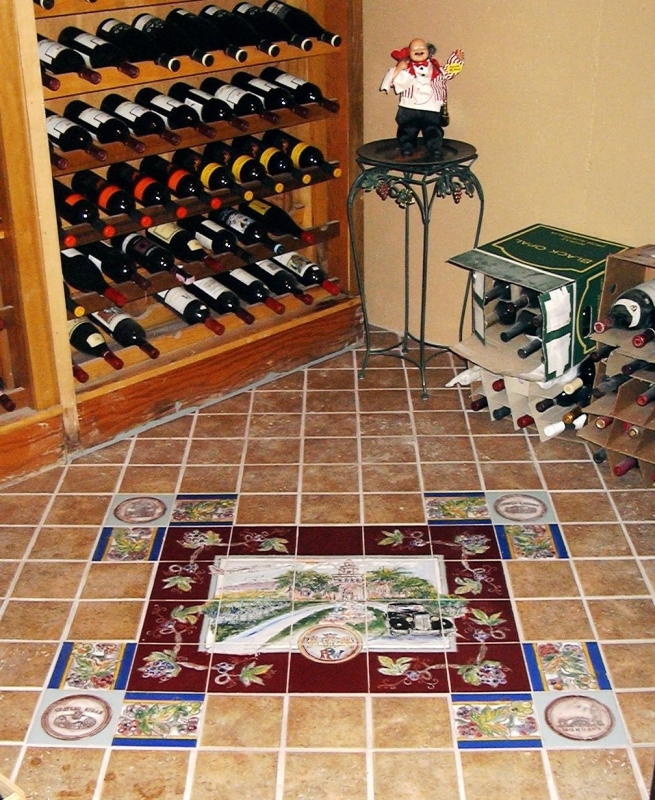 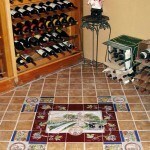 Custom hand painted tile gives a home a very unique point of focus…from a backsplash, a patio tile mural or a wine cellar! 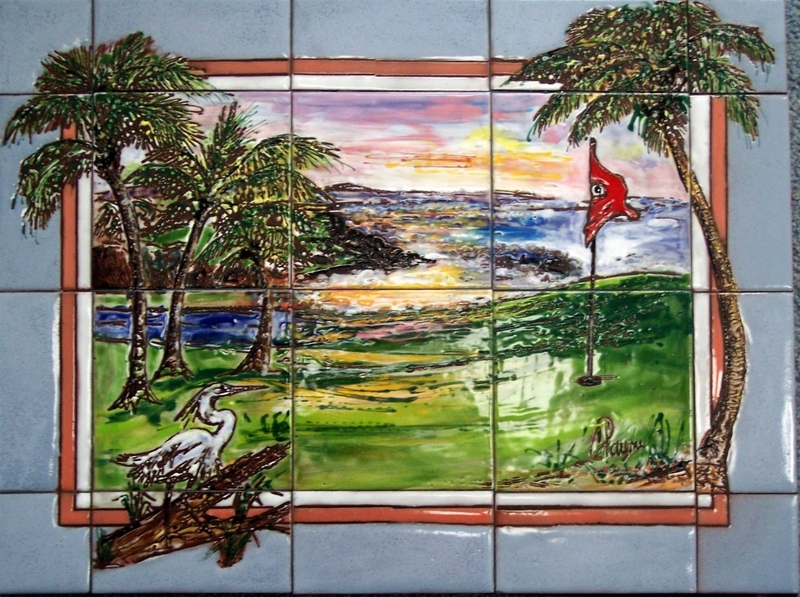 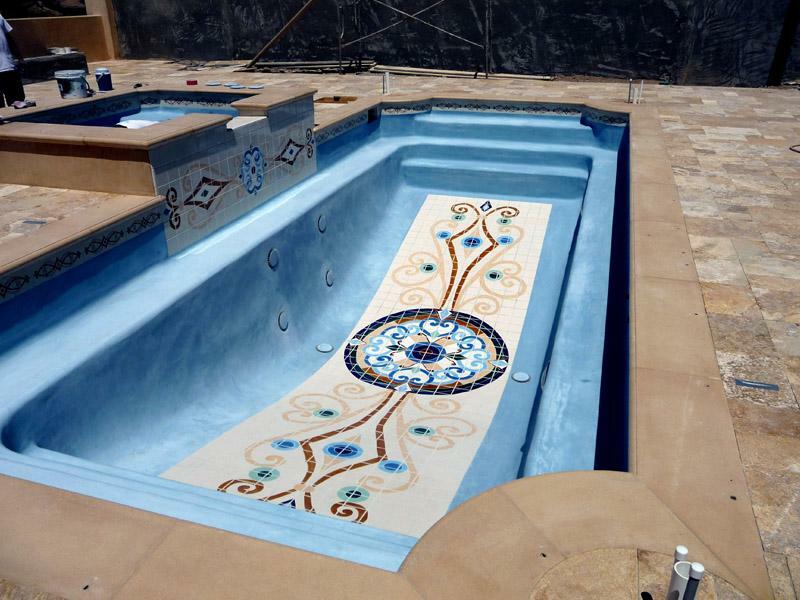 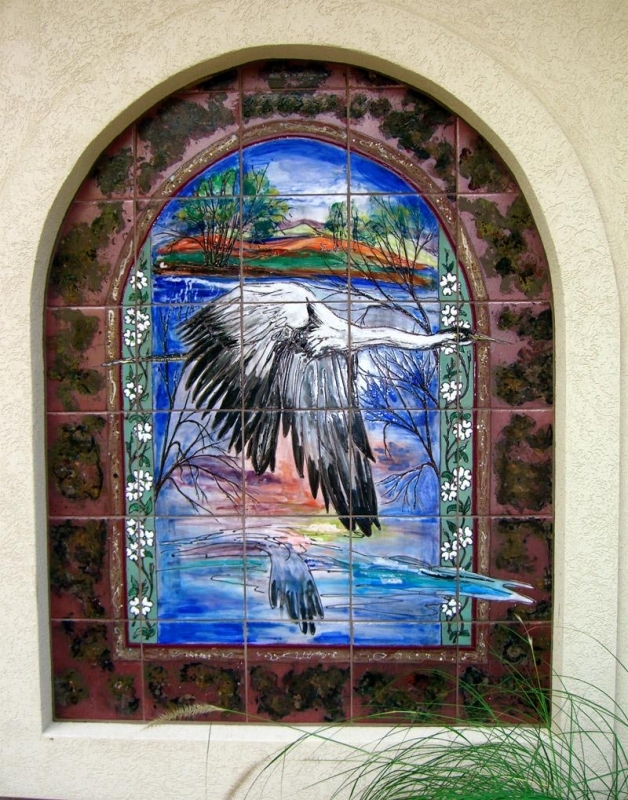 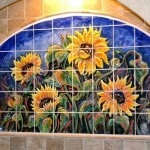 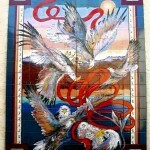 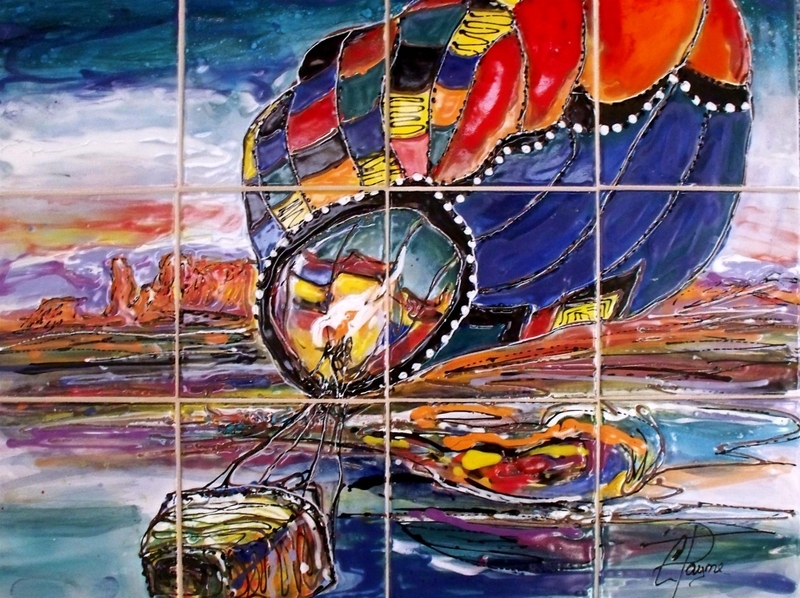 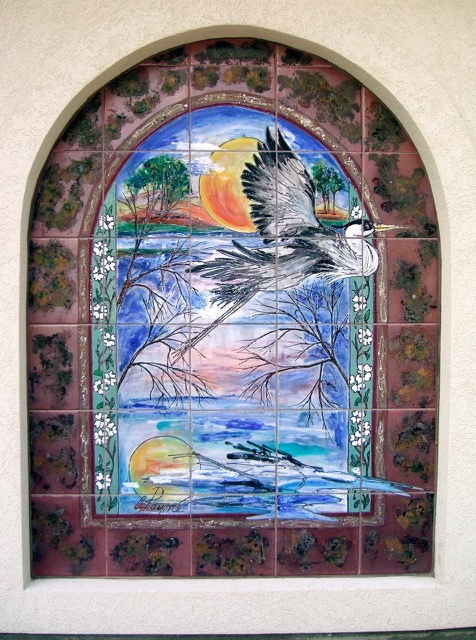 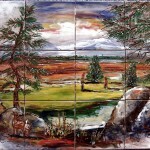 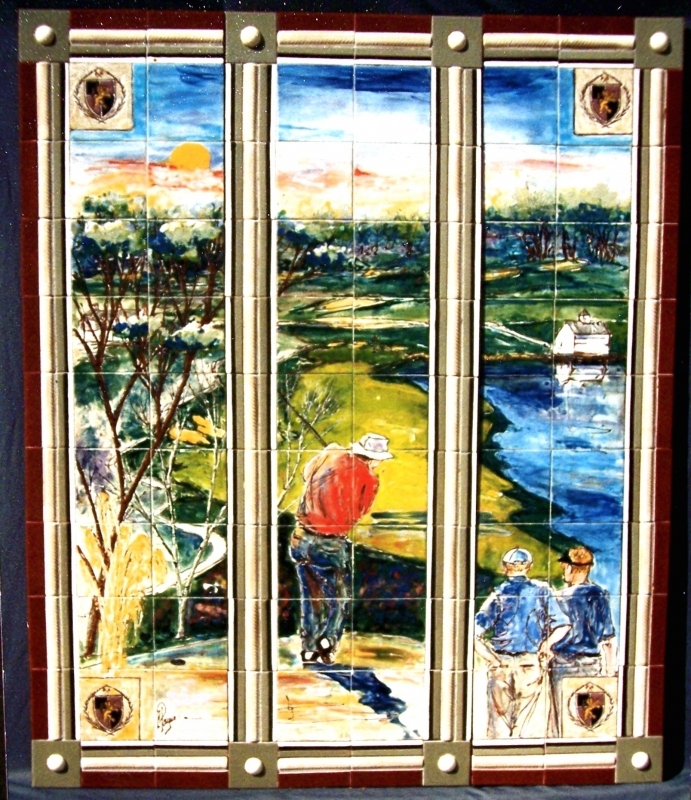 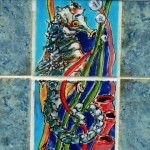 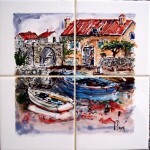 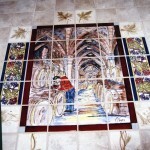 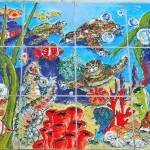 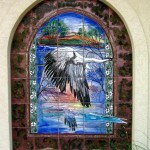 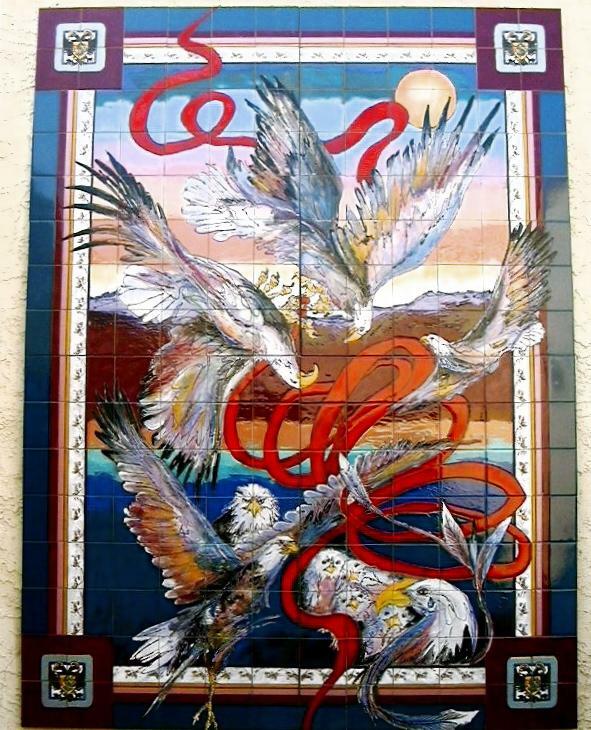 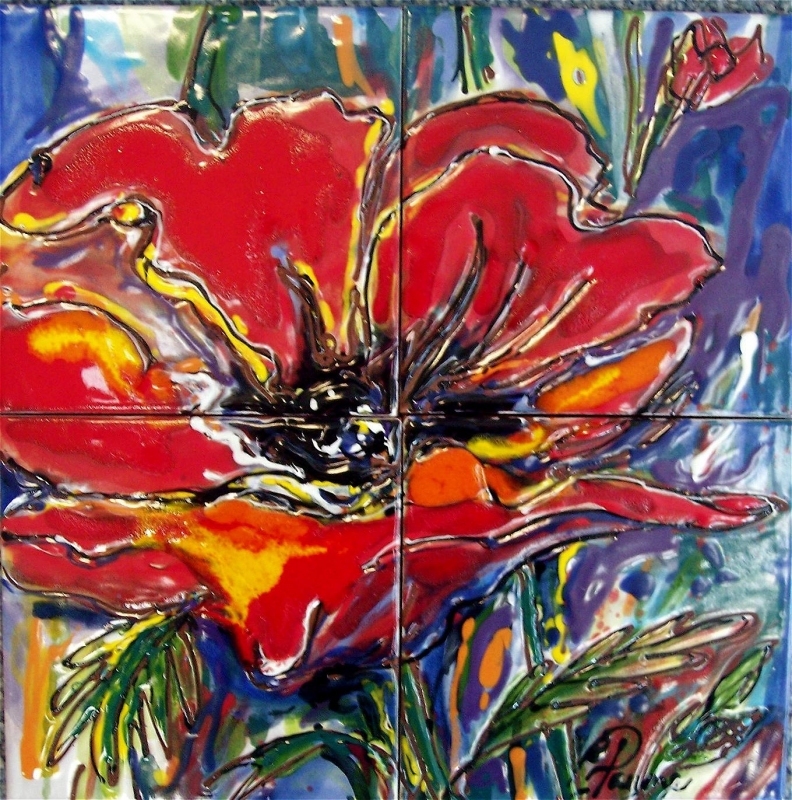 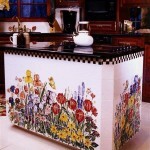 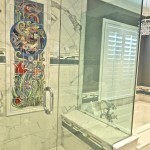 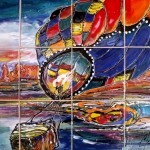 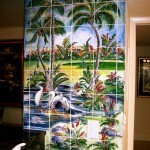 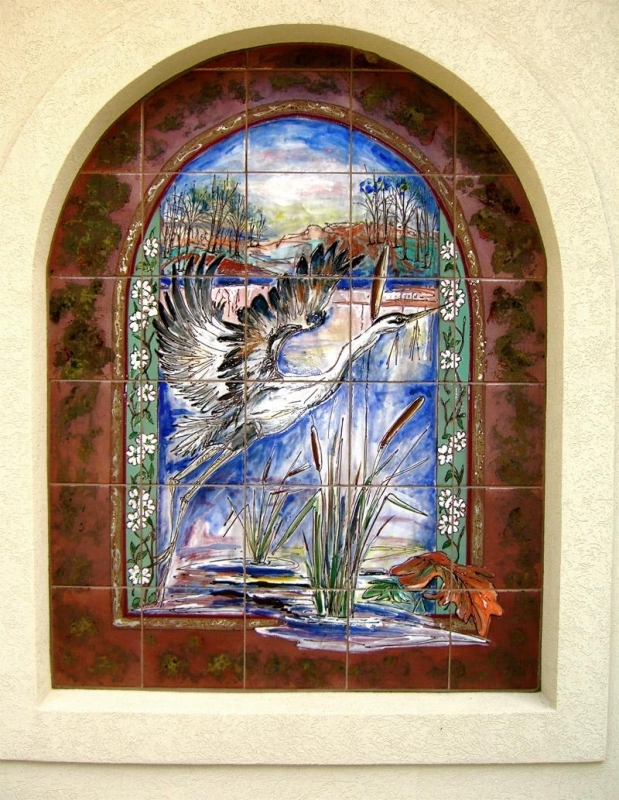 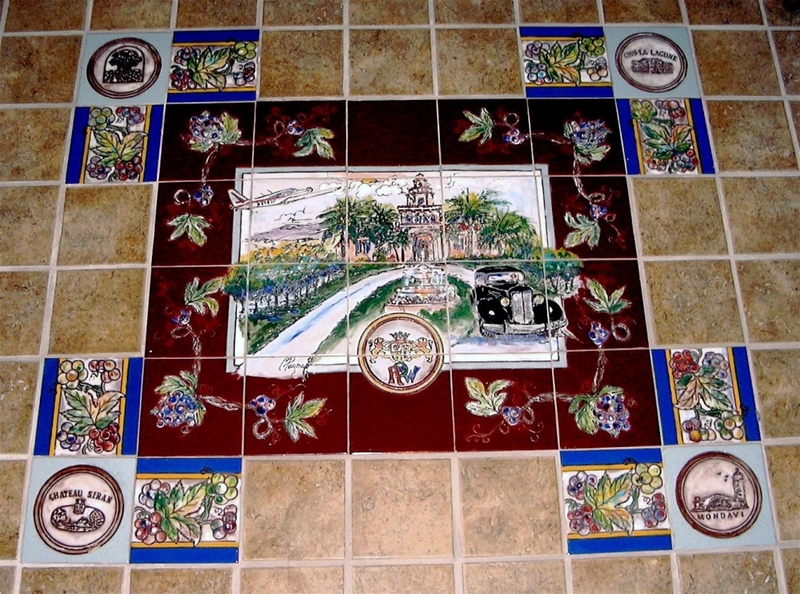 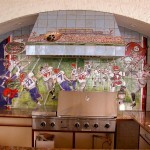 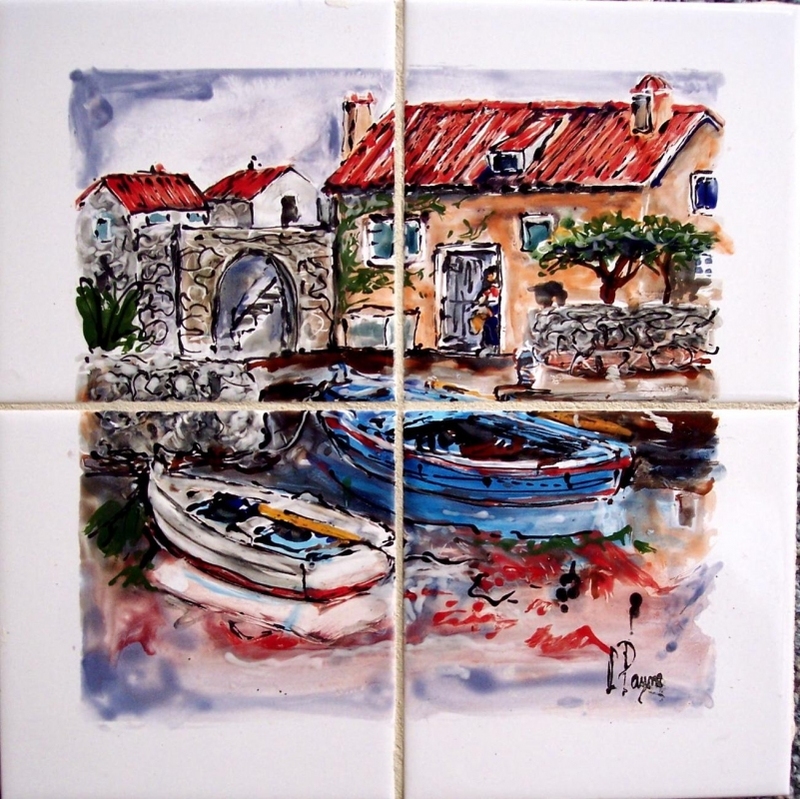 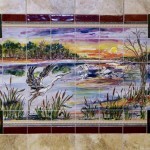 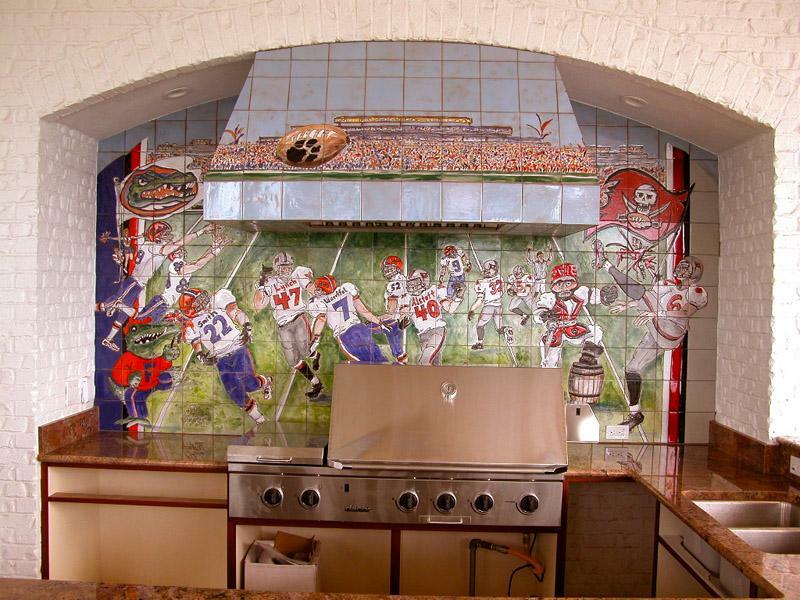 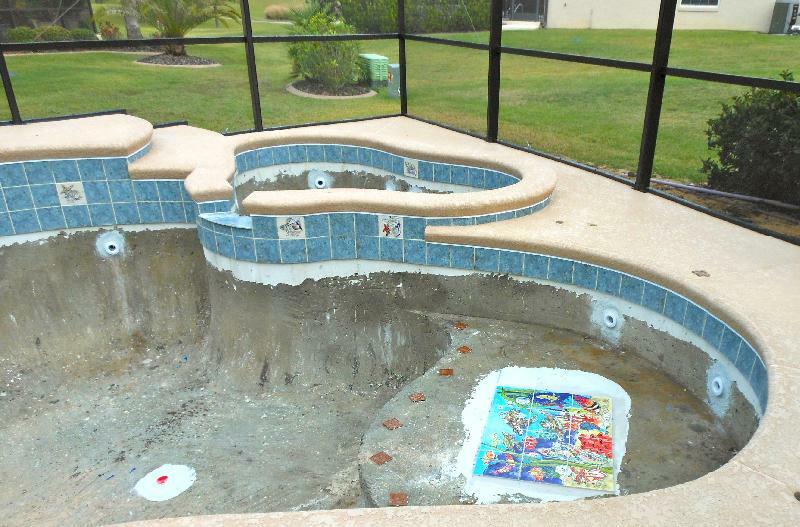 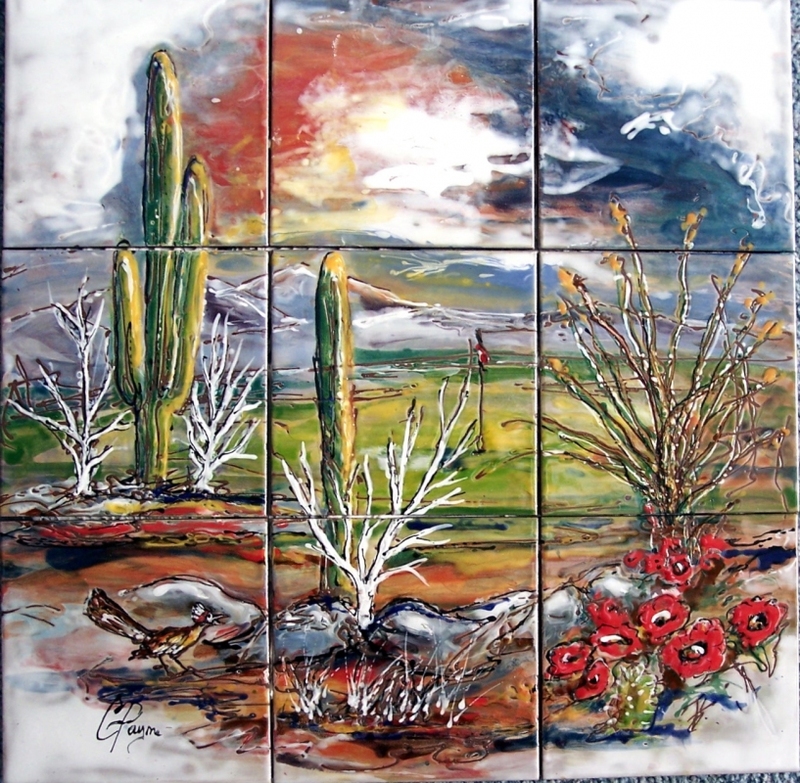 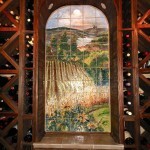 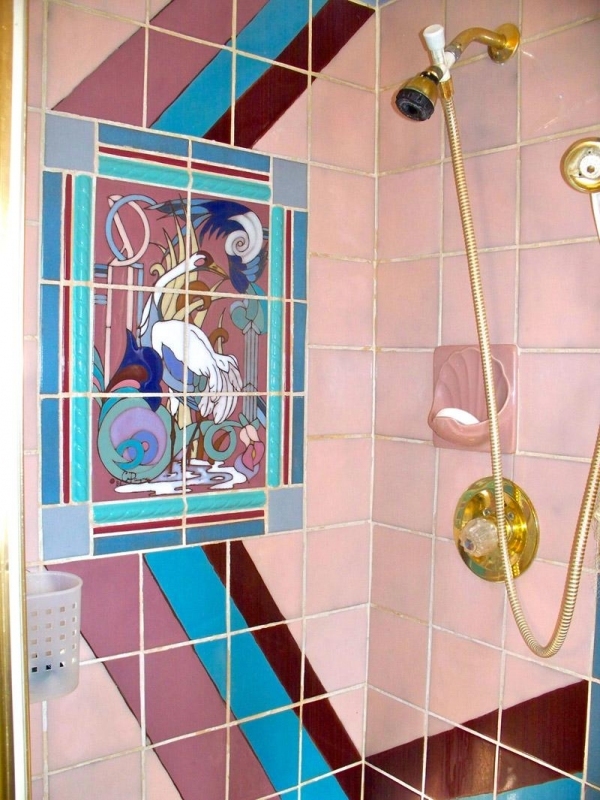 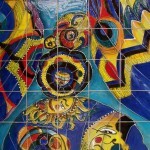 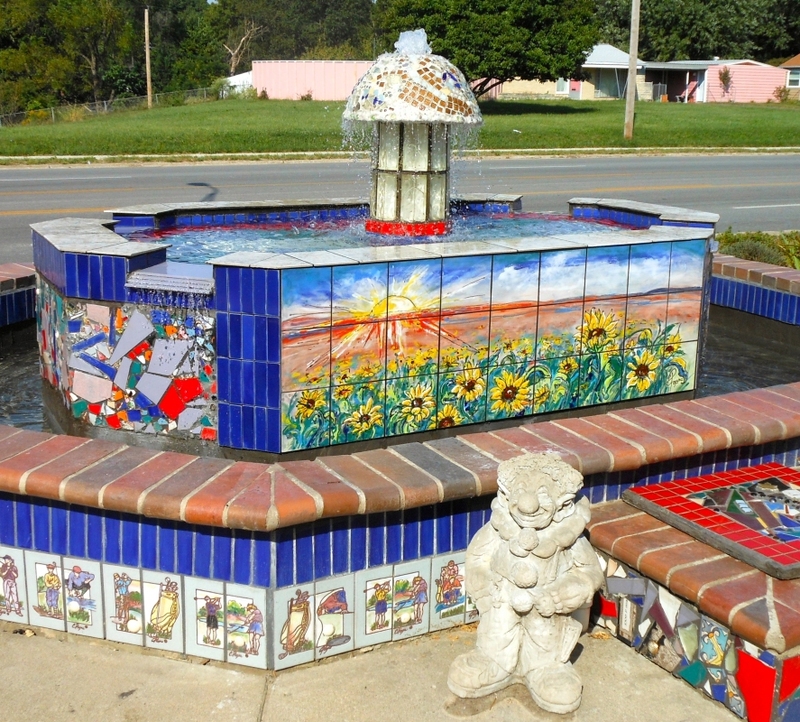 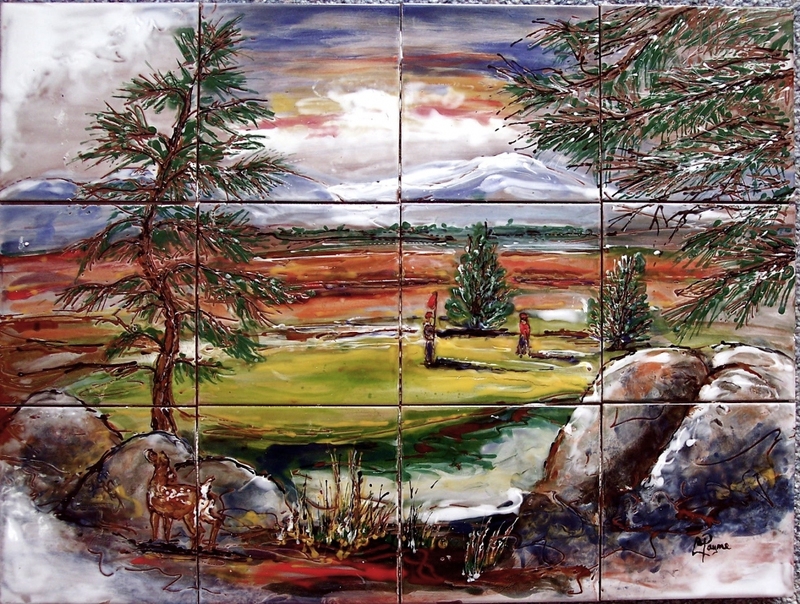 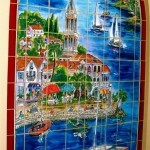 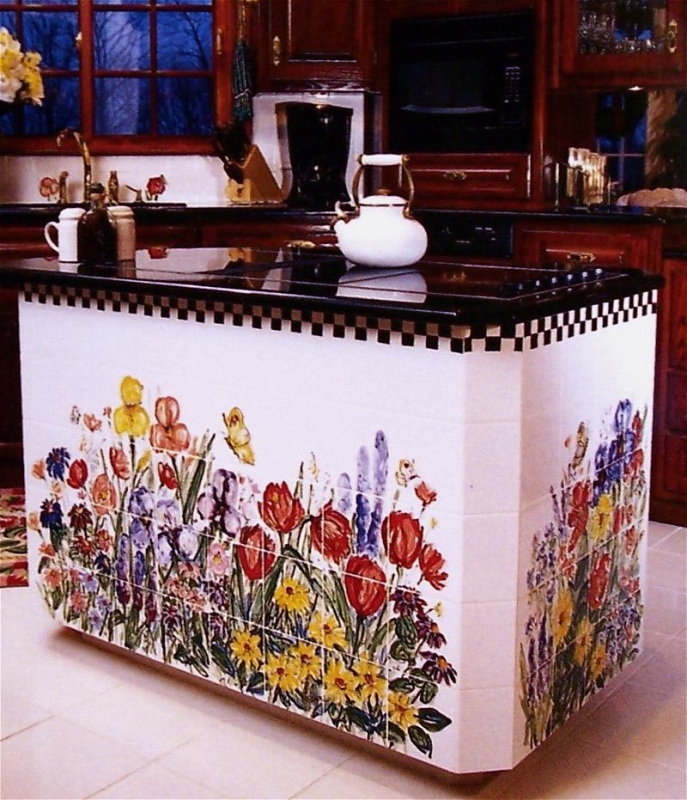 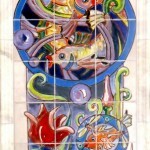 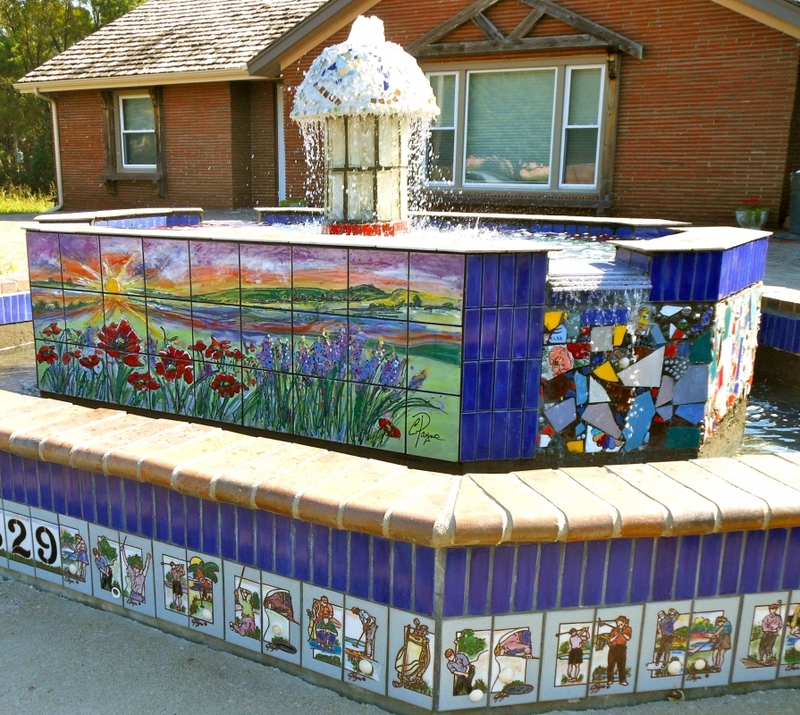 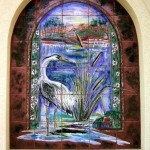 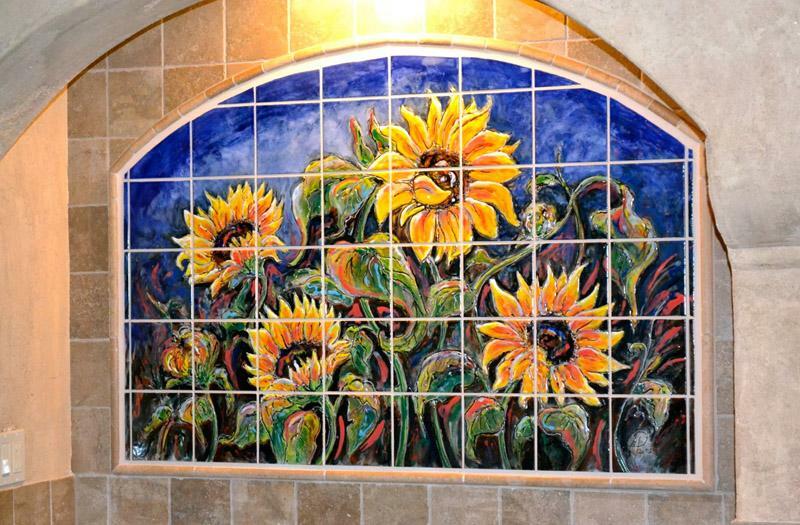 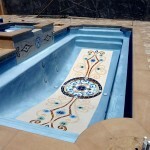 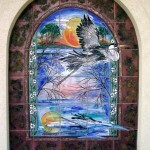 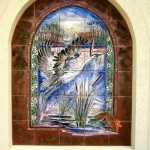 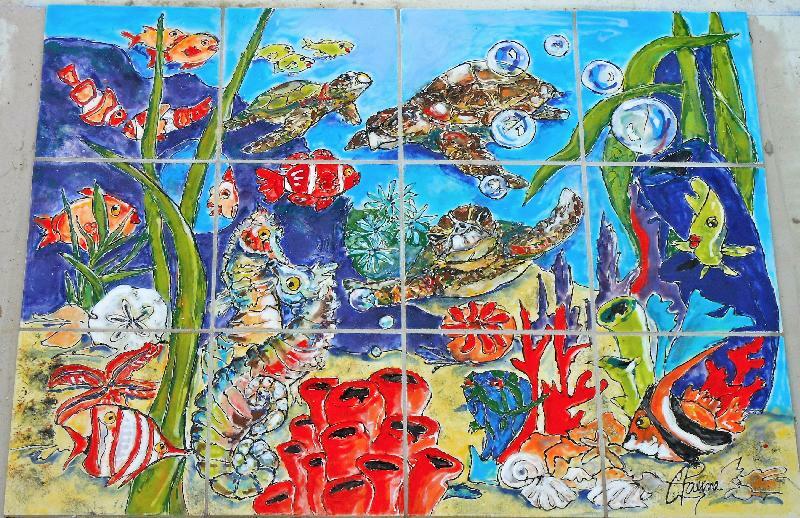 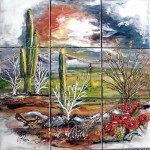 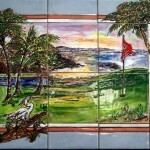 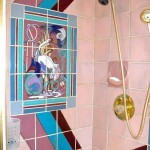 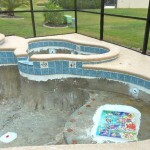 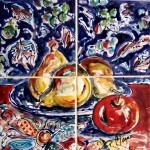 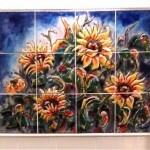 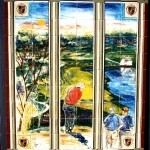 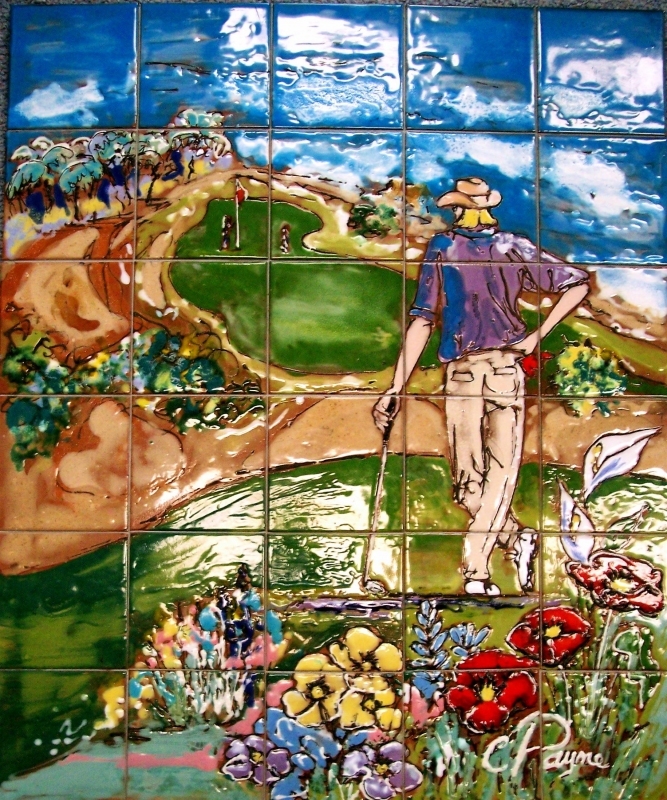 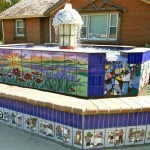 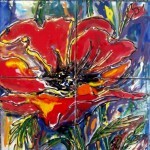 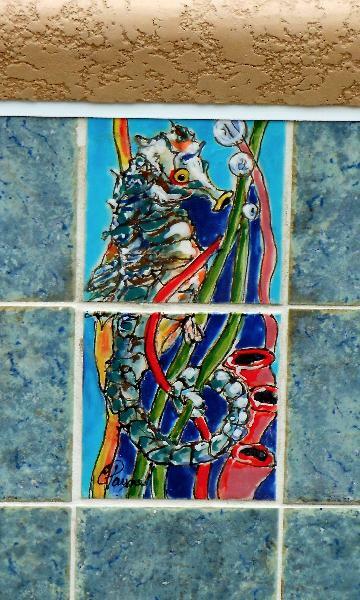 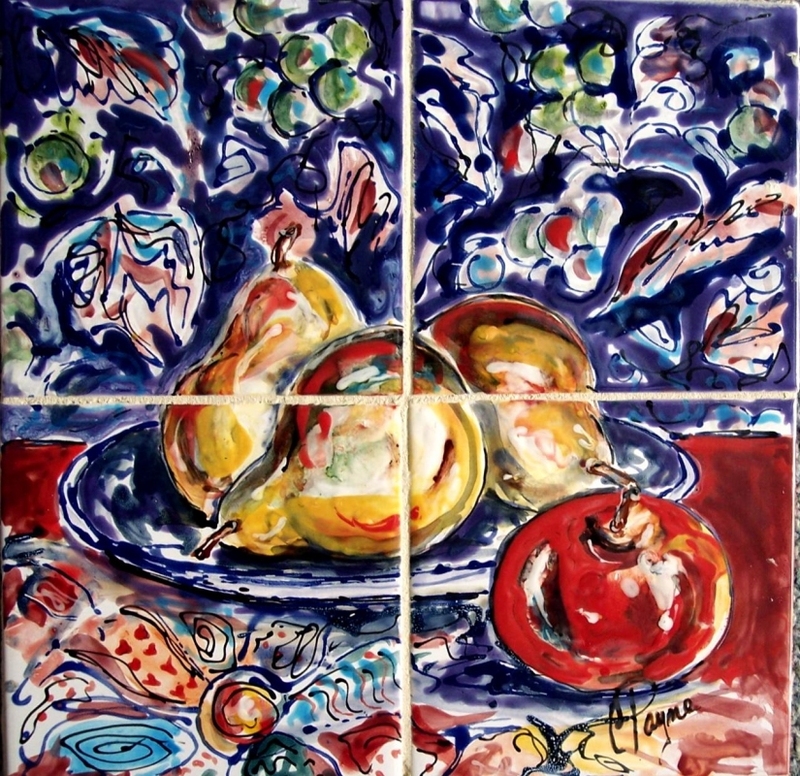 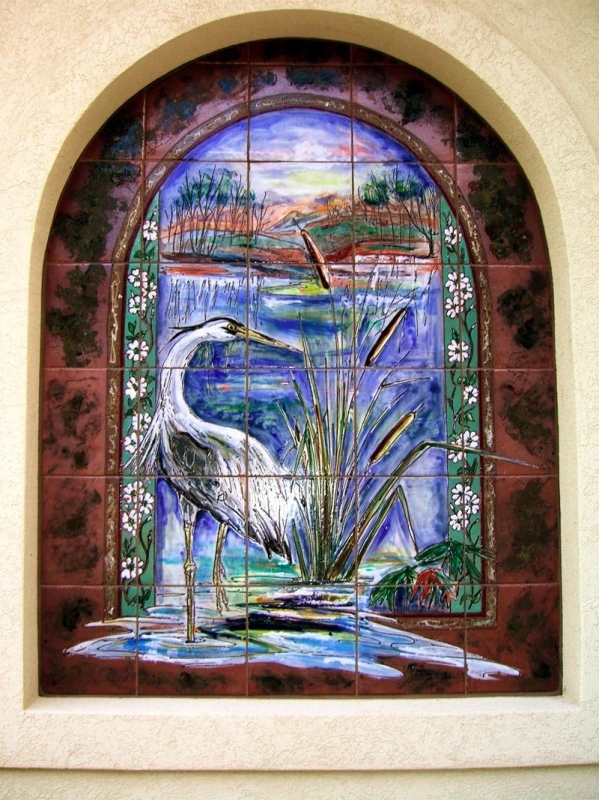 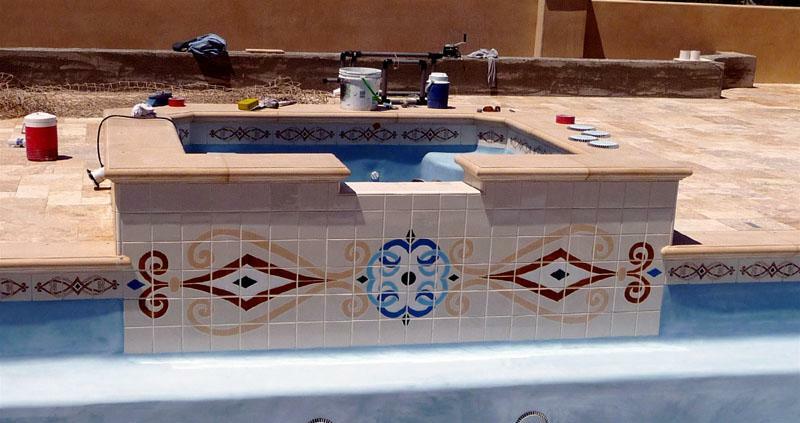 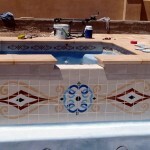 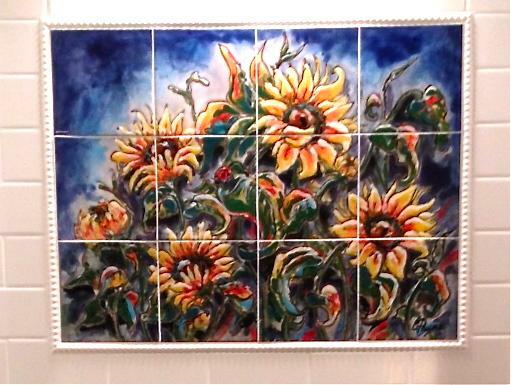 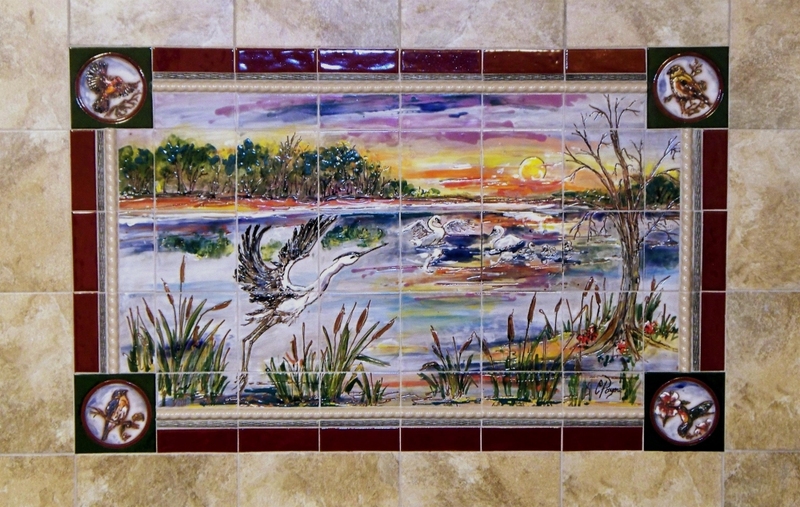 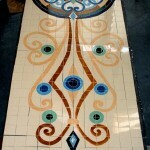 Interior or exterior, Carolyn’s hand painted tile murals add that special one of a kind look! 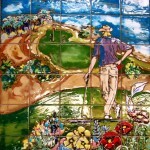 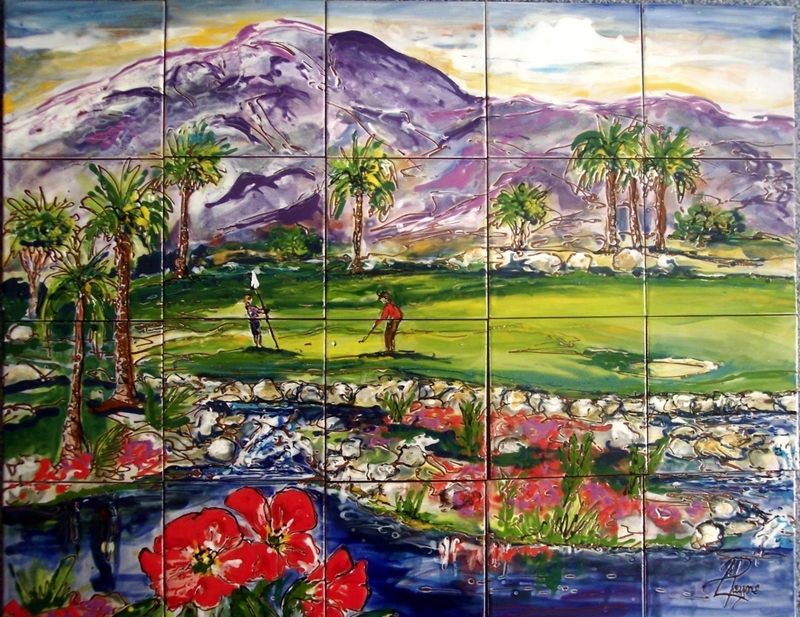 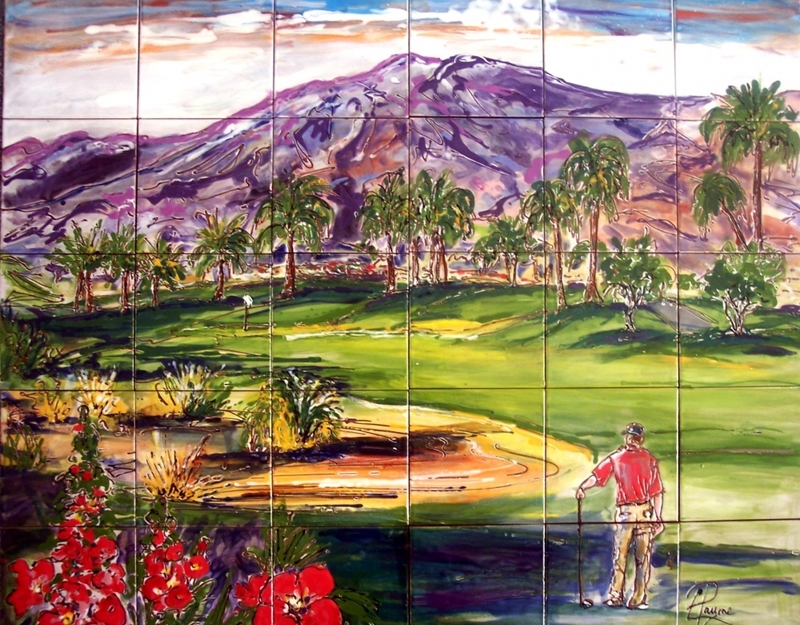 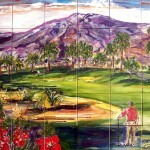 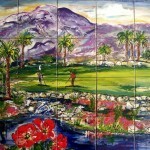 Although versatile in every subject, Carolyn loves to do murals of golf courses, wine cellars, and floral scenes! 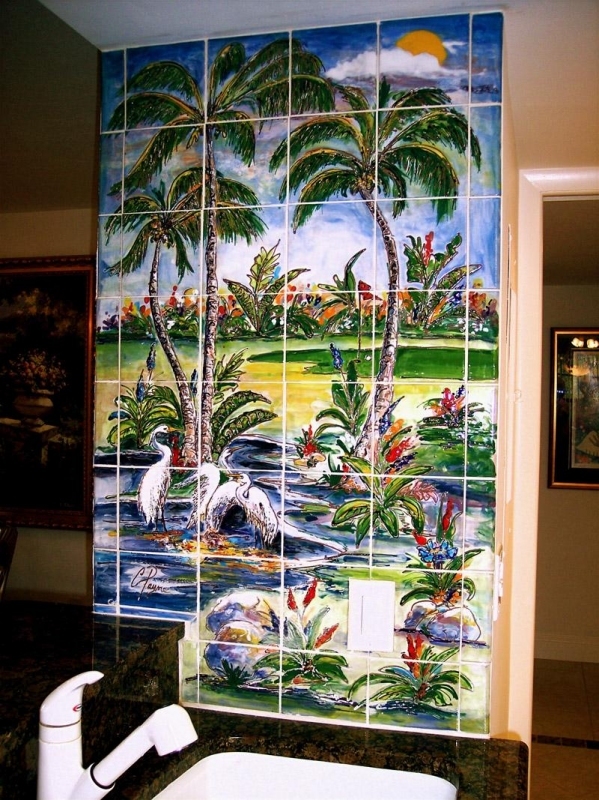 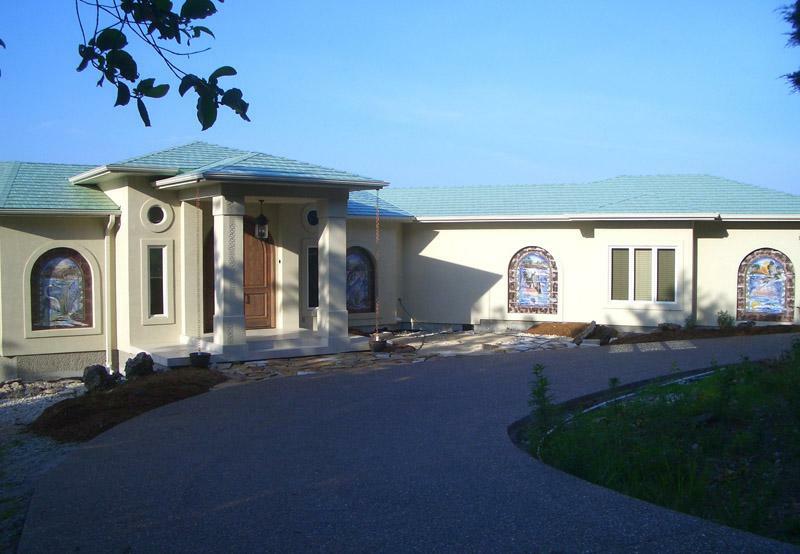 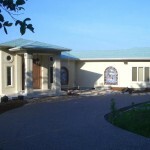 The tiles can be permanently installed or mounted on removable panels.